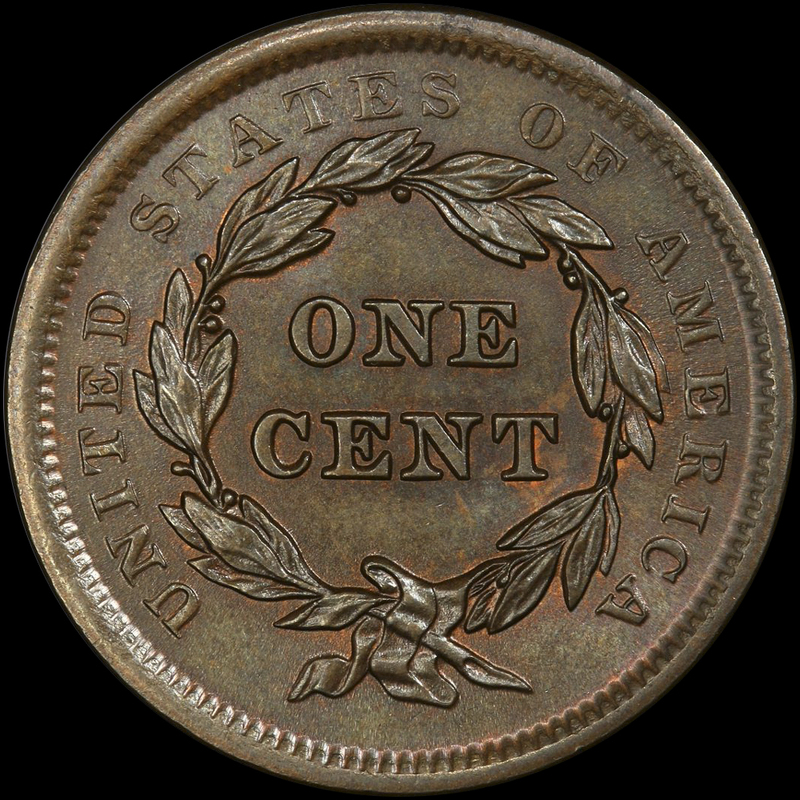 We are totally convinced PCGS creates imaginary problems so they do not MS67 any early copper. We can not stress enough how exceedingly HIGH END this coin is. Absolutely PERFECT surfaces adorn this coin. We used a strong glass and looked really hard all over for even a microscopic something. There was nothing at all to be found. Not even any planchet issues. The surfaces were also as smooth as can be. A moderate luster can be seen. Small traces of original Mint Red mix with the phenomenal original chocolate brown colors evenly spread all over. There are ZERO spots or stains. Miss Liberty and the details are fully struck and really stand out. The eye appeal is jaw dropping! 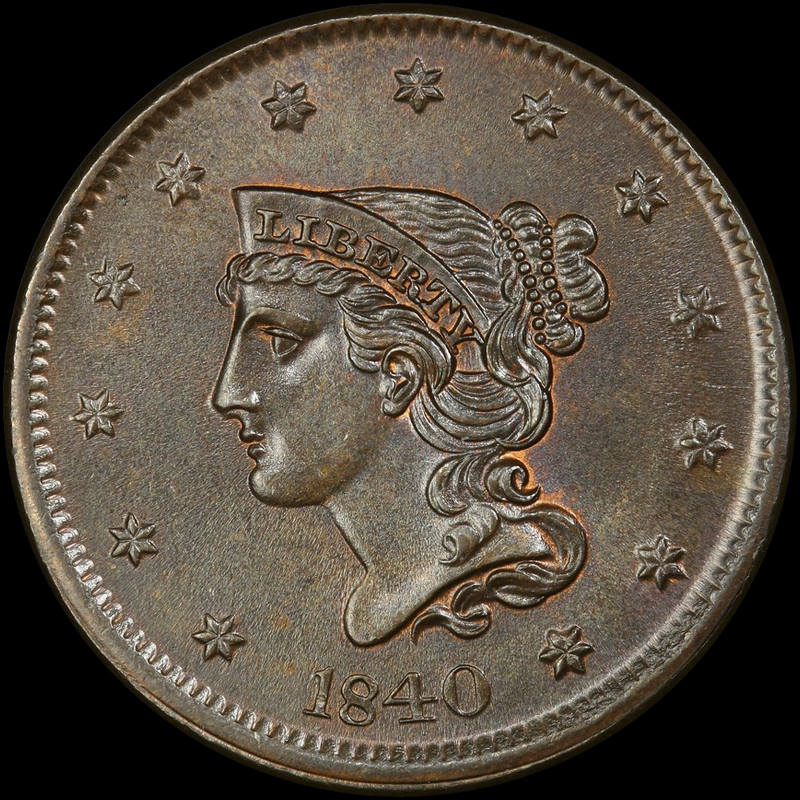 PCGS 7, NGC 7, CAC 6. PCGS has graded only this coin as an MS66+. Since the + was added it has not been sold via auction. Of course there are NONE graded higher. There is no such thing as a finer 1840 LG Date! As you well know, anything Naftzger we buy. This piece is pure to the name. If you want only the best, this coin is for you!